THE OWNER OF AN EARLIER TRADEMARK HAS NOT ANY RIGHT ON THE RELEVANT DOMAIN NAME IN CASE IT CONSISTS OF GENERIC TERMS COMPOSED BY COMMON USE WORDS. 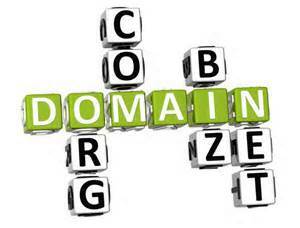 The Court of Rome, XVII Civil Division (dedicated to Enterprises) upheld the claim filed by the owner of the domain name “SMALLBIZ.IT”, assisted by Weblegal law-firm, in the final judgment no. 982/2018 dated January 15th, 2018 (related to the proceedings no. 15289/2015 R.G.). In particular, contrary to the decision taken during the procedure for reassigning the aforesaid domain name (being PSRD the Tonucci Law Firm), it has been stated that, in case of conflict between a domain name and an earlier trademark whose reputation has not been validly proved, absolute protection cannot be granted to the trademark at issue. The protection given to a trademark shall be limited to the circumstances under article 22 of the Italian Code of Industrial Property or to the different case in which the domain name was registered in bad faith. Firstly, it will be thus necessary to assess whether there is actual and effective coincidence or affinity between the areas of activity of the two undertakings involved in the challenge and between the classes of goods covered by the signs registered. In this respect, the Court of Rome has clarified that “the prevalence of not-renowned trademarks on the subsequent domain name calls for a likelihood of confusion between goods or services, which, in turn, implies the exercise, by the owners, of identical or similar business activities”. Consequently, the Court considered the above said requirements absent in the case at hand. With regard to the case of a conduct in bad faith by the owner of the domain name at the time of registration (of the said domain name), the Court clarified the following: “Generally, the prohibition of registration in bad faith shall refer to hypotheses of deliberate appropriation of a distinctive sign not regulated by a specific rule of law; wherein, in other words, there is no formal reservation of registration to others and these hypotheses are not negligible under the underlying principle of law in this area”; by expressly referring to the cases of bad faith under article 21.3 of the CE 874/2004 Regulation concerning the first level domain names “.eu”. The Court has also pointed out on this respect that, in any event, all the cases of bad faith considered by the relevant provisions requires an assessment of the degree of distinctiveness and reputation of the earlier trademark as essential condition for the existence of a conduct consciously oriented to a misappropriation of a sign owned by third parties. In order to deem the mark as having distinctive character, it should be such as to allow to establish a close one-to-one relationship in the public perception between the said verbal expression and the goods or services offered by the proprietor of the same trademark. As a matter of principle, this is without prejudice to the general principle according to which “the use as a trade mark of words of common language (…omissis…) does not prevent the further use of the said words not with regards to the distinctive position, but with reference to their proper meaning in each means of communication, therefore also within the network”. This is a far-sighted and pioneering judgment for several reasons. Mainly, for clearly and in detail delineating the extent of the protection of a not renowned trademark, which cannot be extended in any way up to take also account of the provisions under article 22, second subparagraph of the Italian Code of Industrial Property. Secondly, for offering remarkable guidelines in assessing the existence of the conditions for granting protection to a trademark, taking also into consideration that said assessment should be necessarily carried out in practical terms on a case-by-case basis, being, vice versa, mere presumptions not sufficient. In addition, it has been confirmed herein a well-known principle of law, according to which, the legislation concerning the protection of the intellectual property prevails in respect of the rules of procedure for assigning domain names in case of any conflict arising out of while ruling on a judicial dispute. On the other hand, the evaluation made by the appointed technical expert at the conclusion of the procedure for reassigning the said domain name cannot affect the assessment carried out by the Court of Rome, given that it can have effect only within the limits imposed by the said procedure, by acquiring autonomous regulatory effectiveness in relations between the parties only whether they would be accepted by them.